Regular activity resumed in the gym this week. After a sprinkler head was accidentally struck with a ball during indoor baseball practice, one side of the gym was closed. The discovery of further damage led to the entire gym being shut down, and it remained closed until the floor dried out and was inspected. Athletics’ Director of Media Relations Matt Ulrich said approval was given last week to reopen the gym. 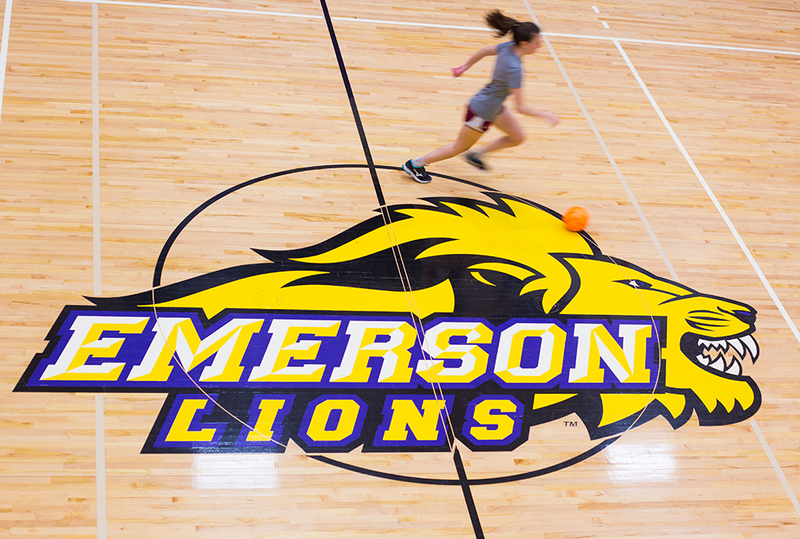 Emerson’s men’s volleyball team will return to its home floor on March 25 against Emmanuel College, and other teams’ practices have resumed as well. The Beacon reported last month that Emerson Facilities Management collaborated with Servpro to inspect the damage. There was concern about the wood warping, but Ulrich said it fell back into its proper place once the floor dried. He said no further action will be needed until after the school year, when the gym floor will undergo its usual summer sanding and refinishing for maintenance purposes. “For all intents and purposes, the gym is fully back to what it was,” Ulrich said. Open gym has also resumed, and the times are posted on the athletic department's website.